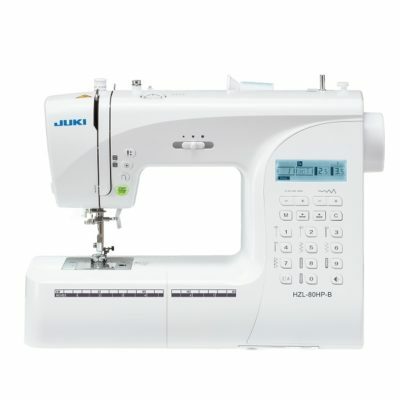 The Juki TL-2200 QVP M is a high-performance sewing and quilting machine. 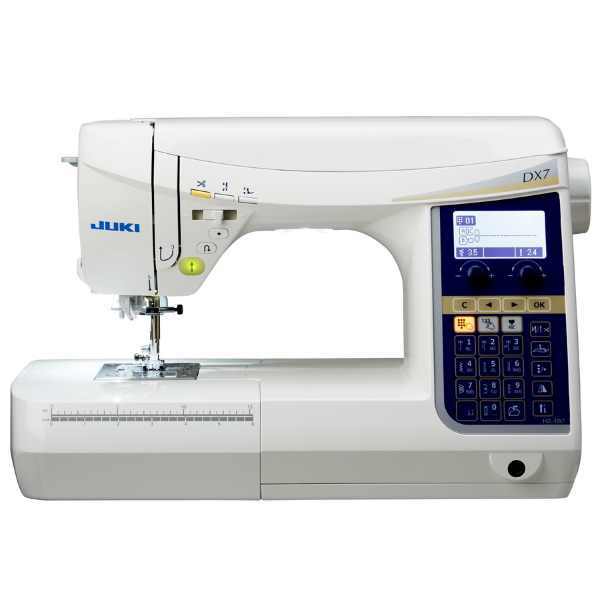 The TL-2200 QVP M is a single needle, lock-stitch, portable machine, constructed of aluminum die-casting to ensure industrial-quality sewing. 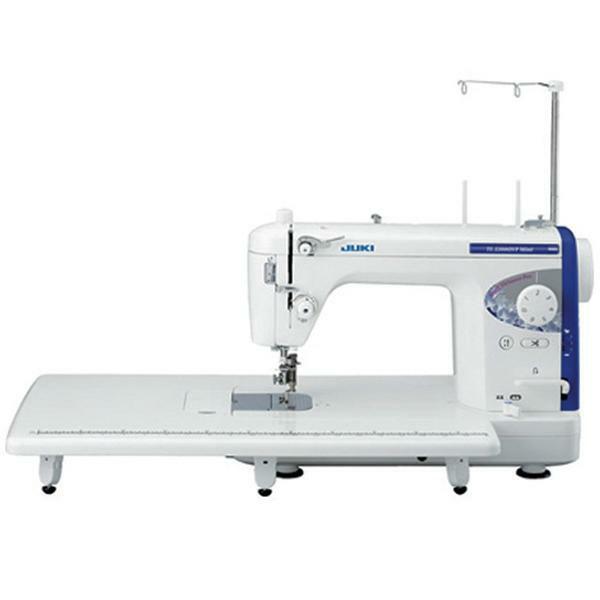 With advanced features, such an industrial sub-tension system and bright LED lighting, this machine is built for precision sewing. With a large work area of up to 23 inches (with auxiliary table attached), the TL-2200 QVP M can handle large quilt, sewing or home decor project with ease. 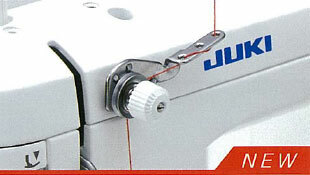 Nothing Free Motion Quilts Better Than a Juki – Juki’s rich tradition in quilting continues with the TL-2200 QVP M. The feed dog can be raised and lowered simply by depressing a switch. 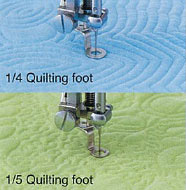 When quilting, the drop feed allows you to sew curved stitches with precision and ease. NEW Sub Tension Unit – Even with strongly twisted thread should be used, the unit will avoid the “return of the twist of thread” and supply needle thread to the main tension unit without thread quivering. It helps sewers create stitches with stable thread tension. 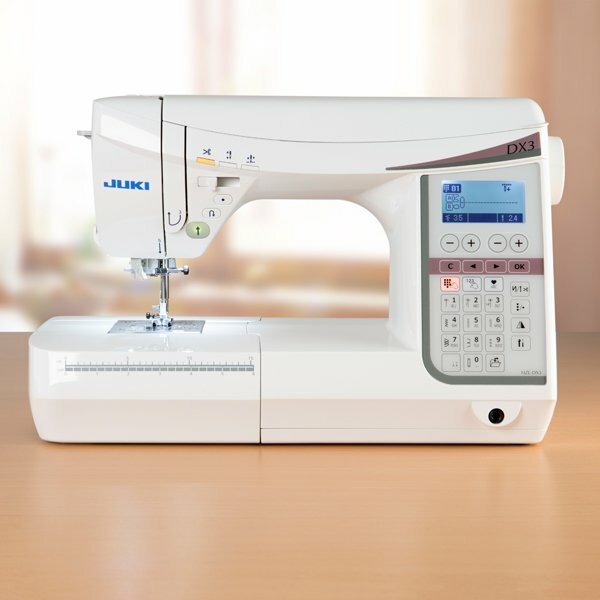 Juki Even Feed Foot – With its reliable feed, the even feed foot ensures the machine’s ability to produce beautiful seams when sewing difficult-to-feed fabrics such as georgette and velvets, as well as heavy weight materials such as leather. 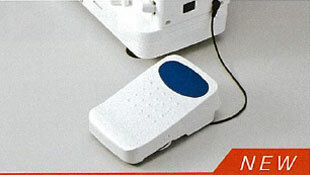 Knee Lifter Lever – The knee lifter level allows you to lift/lower the presser foot without using your hands. The presser foot can be raised as high as 12mm. 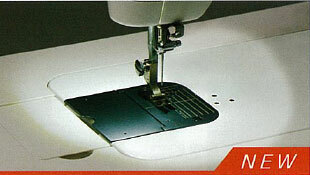 Advanced Thread Trimming – The TL-2200 QVP M allows you to trim top and bobbin threads using the Exclusive foot controlled trimming system. 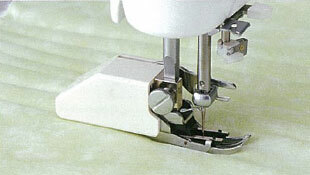 Just rock your heel back on the foot control, and thread is quickly and precisely cut. Thread Tension Scale – The TL-2200 QVP M has the thread tension scale, which allows you to adjust the tension according to the thread and material to be used. 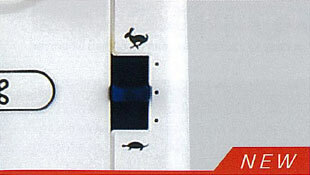 Needle Up/Down Control – When you stop sewing, the machine will stop with the needle in the down position to allow for pivoting or more accurate free motion work. To move the needle up or down as desired, simply press the needle up/down button. Automatic Needle Threader – The push lever automatic needle threader easily threads the needle without eyestrain and allows you to start sewing quickly.